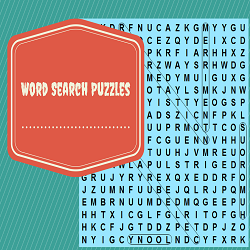 Word Search Puzzles are crossword type puzzles in which one has to find words in the grid full of letters. Words can be found in any directions vertically, horizontally or diagonally. It can be from Left to Right or Right to Left. It can be from Up to Down or Down to Up. It means that words can be located in any directions possible. In most of the puzzles these words are found in a straight line. There are some games in which one can take turns to form words. Many of the word search puzzles list the words which one need to find in the grid. However there are some games in which words will not be given. These games contains the words on a particular theme. In many of the games player can select the theme.